Unique ergonomic design ensures comfortable wearing experience for long-time and varied usage.enjoy, full listening comfort with soft,snug earbuds that conform instantly to your ears. Designed to not only provide high quality sound, but also fits snugly into your ears. It creates a better sound isolation and minimizes external sound interference. Best choice for listening music, watching movie, chatting online etc and it also perfect for running, biking or gym. 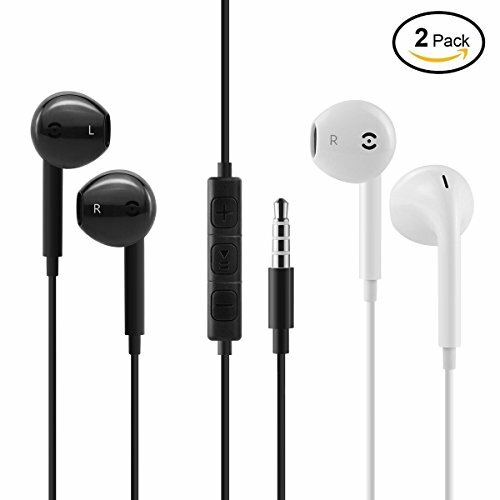 3.5MM EARBUDS COMPATIBLE DEVICES: works with all 3.5MM plugs. Built-in Microphone, Perform high quality sound and noise reduction. ENHANCED BASS & HD STEREO SOUND--High performance sound quality with super dynamic deep bass high resolution treble & crisp powerful sound. After-Sale Service, 12 months warranty. No Worries After Purchasing. View More In Earbud Headphones. If you have any questions about this product by love_store, contact us by completing and submitting the form below. If you are looking for a specif part number, please include it with your message. © 2019 - beatsbluetooth.co.uk. All Rights Reserved.